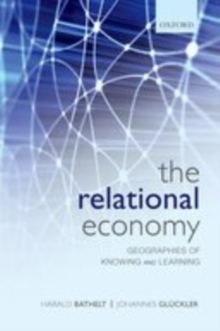 How are firms, networks of firms, and production systems organized and how does this organization vary from place to place? 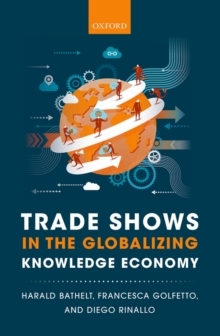 What are the new geographies emerging from the need to create, access, and share knowledge, and sustain competitiveness? 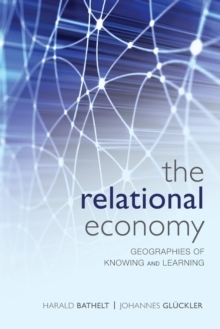 In what ways are local clusters and global exchange relations intertwined and co-constituted? What are the impacts of global changes in technology, demand, and competition on the organization of production, and how do theseeffects vary between communities, regions, and nations?This book synthesizes theories from across the social sciences with empirical research and case studies in order to answer these questions and to demonstrate how people and firms organize economic action and interaction across local, national, and global flows of knowledge and innovation. 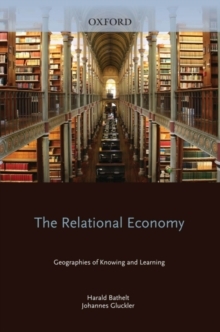 It is structured in four clear parts:- Part I: Foundations of Relational Thinking- Part II: Relational Clusters of Knowledge- Part III: Knowledge Circulation Across Territories- Part IV: Toward a Relational Economic Policy?The book employs a novel relational framework, which recognizes values, interpretative frameworks, and decision-making practices as subject to the contextuality of the social institutions that characterize the relationships between the human agents. It will be a valuable resource for academics, researchers, and graduate students across the social sciences, and practitioners in clusters policy.